Greetings all. I have been trying for a while to build a couple of foamies which were first, the "Snowball" and lately the "Cheap N Easy". I have had no luck yet getting either to fly so I have decided to build my first kit plane so as to get some experience and flying time under my belt so to speak so that I might be able later on to understand basic flight characteristics and be able to get future foamies off the ground easier. So, that being said, I am looking to build something in the slow flyer class that I can basically fly in my back yard which does not afford me any really large open area to fly in because of trees, fences and briar patches so I need something that I pretty much hand launch and that can land in the grass without causing any damage. I already have three motors which are a 1000kv, a 1700kv and a 2200kv all of which are outrunners. I have two 12A ESC"s, one 30A ESC and one 40A ESC. I also have six 5g servos and four 9g servos. I have been also buying different size props as well and I hoping that one of these combos will work with my initial FT speed build kit choice. I have been looking at the "Explorer" (less chance of prop damage) and the "Tiny Trainer' as my first two choices but I am still considering others as well. I will of course be starting out with a three channel build but will want to add an extra channel after gaining some experience. But as I said, my flying space here at home is limited and there are no really close by big open areas to fly in either. The closest R/C club is nearly forty miles away and besides, I can't afford the dues or the AMA insurance right now anyway. So ALL of that being said I would like to hear some kit choice suggestions from some of you experienced FT kit flyers as to what should be my best choice for my first build. I thank you for taking the time to read all of this and for any help you may offer. Welcome graywoulf, sorry to hear you haven't had success yet, this is absolutely a trial and error hobby so you're getting closer with every moment! The Explorer is a beautiful plane, but requires a bit more space than the backyard, unless your backyard is getting towards the size of a baseball or soccer field. You're correct that having the prop mounted high and pushing back makes it near impossible to damage. 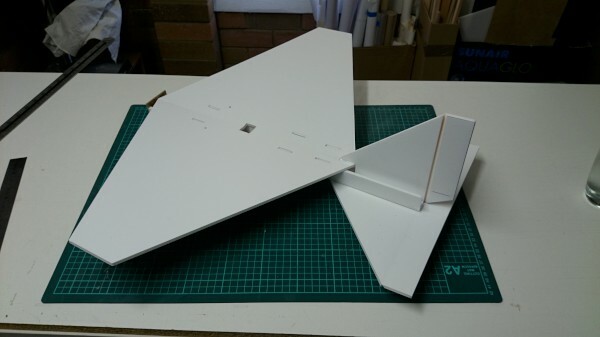 However I'd be concerned about how much stress the tail boom can take, so it's probably not perfect as a first plane. The Tiny Trainer is an awesome choice, I'd go with that. Thanks guys for your suggestions. NuttyGeezer, thanks for your recommendation but you did not mention which specific FT flyer you built. I hope you are referring to the Tiny Trainer though. I wish I had the room for the Explorer as I like the design. I did see a picture posted in a different forum of a plane that looked almost identical to the TT but it had the motor mounted on a raised stick type mount which got the prop off the ground which would make for smooth grass landings or I guess I could use a folding prop if I had to. I am still in a learning curve about motor specs to be honest. Thanks paulshort for the information on the FT Flyer. The folks at FT are amazing in all that they offer and do for the R/C world. I am really starting to lean towards building a Tiny Trainer at this point. I wish there was a modification to convert it to a pusher prop like the explorer and I am sure that there is a way to do that but I am not an experienced enough builder to be able to figure out how to do that yet. Thanks for all of the input and suggestions. My Tiny Trainer is on order as of today. I am looking so much forward to getting it put together and in the air. Now I need to know which of my electronics will work with it or if I need to buy something different. I have a 2200kv @ 50g, a 1700kv @ 24g and a 1000kv @47g. Three ESC's at 12A, 30A and 40A. Batteries: 1000Mah 1300mah and 2200mah. So, what if any of those are my best bet or do I need to go shopping? Look on the store where you ordered the plane. There are always recommended "Power packs" find what matches closest to what you have. My guess off the top of my head would be the 1700kv motor, the 12a esc and the 1000 would probably work best as the title "tiny trainer" suggests. The power pack "A" recommended set up is an 1806 with a 12a esc using 800mah 2s or 3s lipos. I personally don't like the tiny trainer very much. Small foamboard planes with fat airfoils tend to have a certain flying style that I Don't really like.